Logistics professionals in the pharmaceutical sector need to push for “better alignment on handling and transport standards”. At yesterday’s Temperature Controlled Logistics conference in London, Amelia Binci, director of external quality assurance for distribution and logistics at pharma manufacturer MSD, said alignment was her main challenge when selecting suppliers. “Particularly in terms of standardised requirements,” she added. “In the guidelines [Good Distribution Practice, 2013], there are generalisations that are there on purpose so the experts, those moving the goods, can set the appropriate measures. 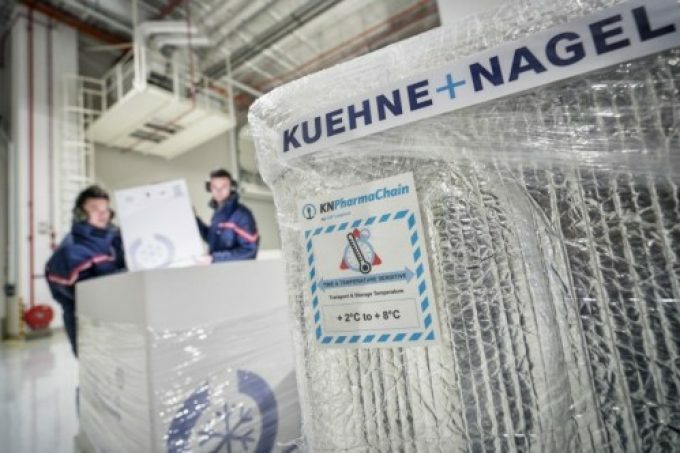 Head of pharma at Kuehne + Nagel David Cunniffe said when K+N selected transport providers it looked to certification from industry bodies to ensure standardised practices. “For instance, it is about selecting airlines that can handle pharmaceuticals, so we look for those that have received IATA’s Centre of Excellence for Independent Validators (CEIV) certification,” said Mr Cunniffee. Ms Binci said she was optimistic about raising standards in emerging markets, where many were looking to European operators and seeing their standards as those to follow. She believed this provided a platform for emerging markets to catch up while maintaining quality. The director of pharma ocean freight specialist Team Poseidon, Alan Kennedy, told The Loadstar his firm’s plan for a less-than-containerload (LCL) service for SME shippers would open a “huge market” for pharmaceuticals to be shipped by sea. “Some 40%-50% of pharmaceuticals are produced by small shippers and none goes by sea, because these companies are not manufacturing the volumes to make using a full container economically viable,” said Mr Kennedy.